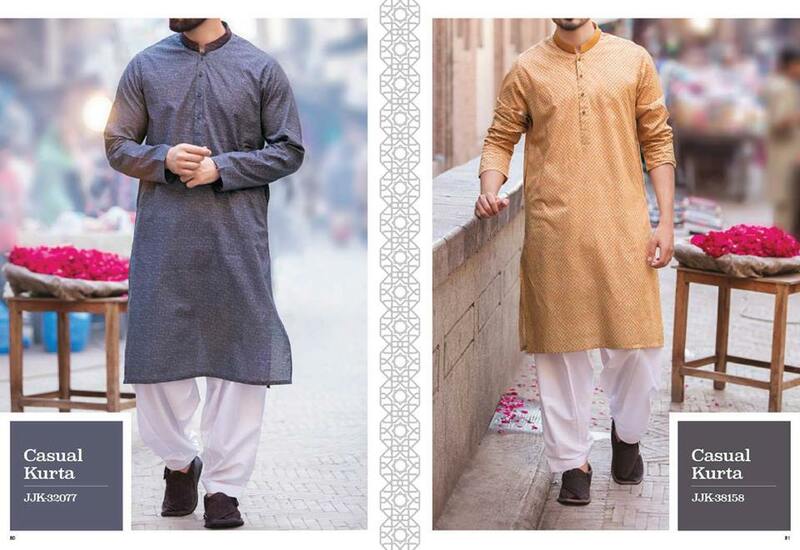 The Trend of wearing Kurta is very favorite among men of Muslim World. 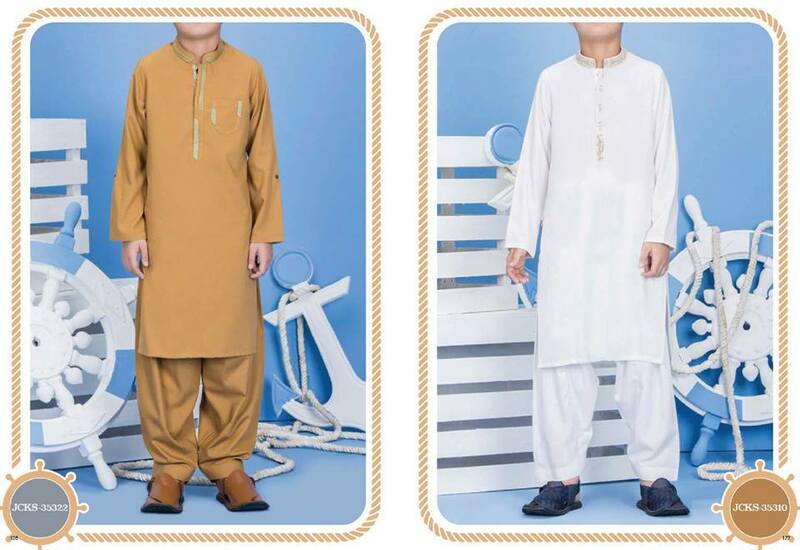 Non-Muslims are also impressed from this trend; they also like to wear Kurta Shalwar and Salwar Kameez. As I have already shared many Menswear Collections for Summer, Spring, Winter and Party wear. 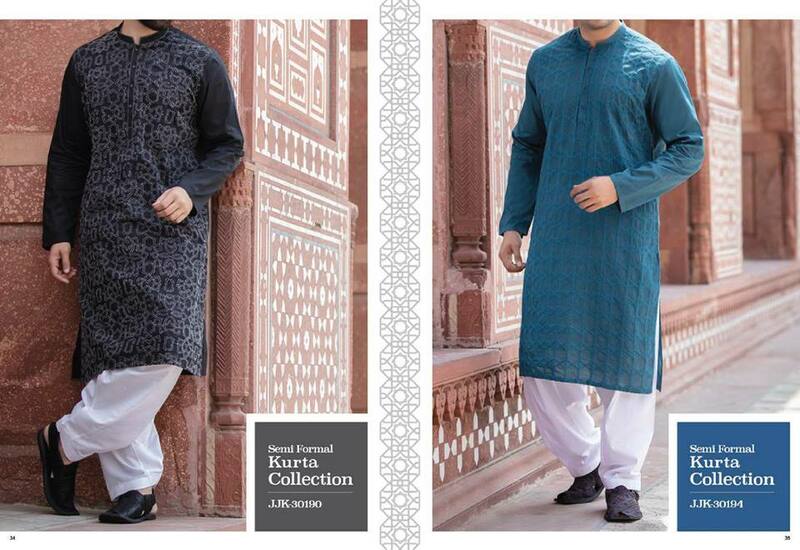 Many designer and Brands showcased their Kurta Collections for casual wear, event wear, and formal wear. 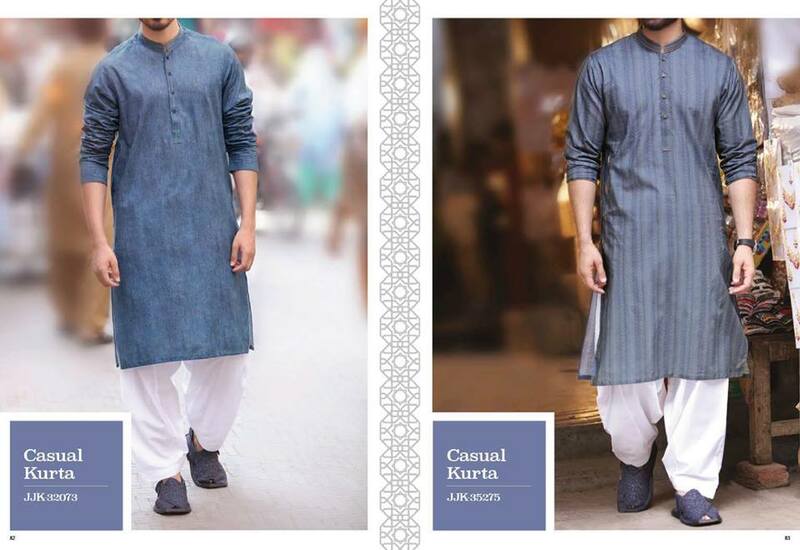 Today I am going to share the: Ever Best” collection of fantastic outfits for Men by Pakistan’s one of the Top Brand. 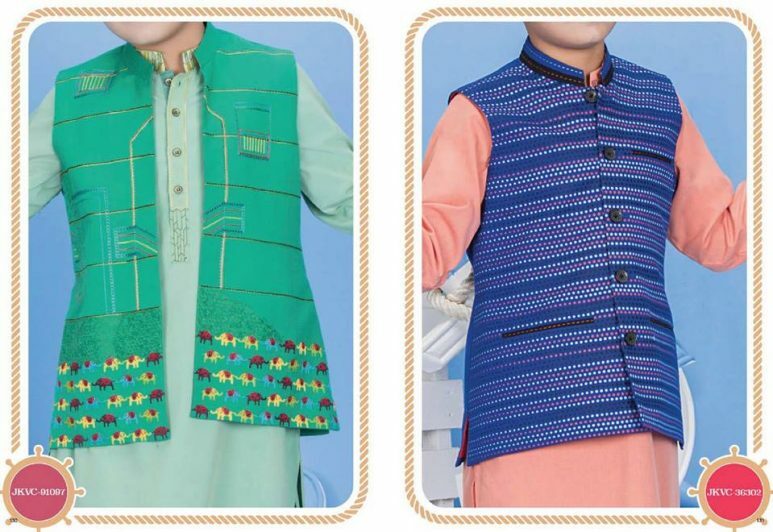 Yes, I am conversing about the J. Junaid Jamshed Majestic Eid Festive Collection 2018 that comprises of menswear kurtas, shalwar kameez and waistcoat. 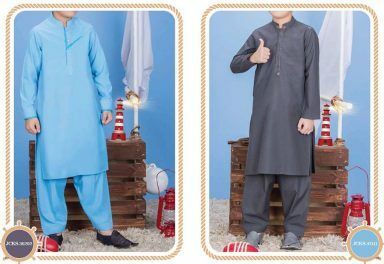 Junaid Jamshed is most leading and fast-growing brand of Middle East that ultimately depicts the eastern culture and trend. J. Soully East designs are full of traditional customs and intended with modern routines. 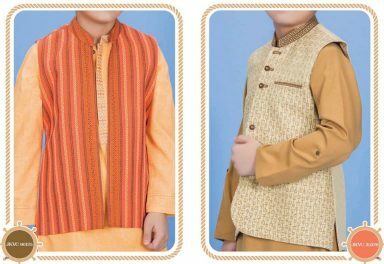 Today we will share Latest J. Eid Kurta Shalwar Kameez Designs Waistcoat Collection 2018. 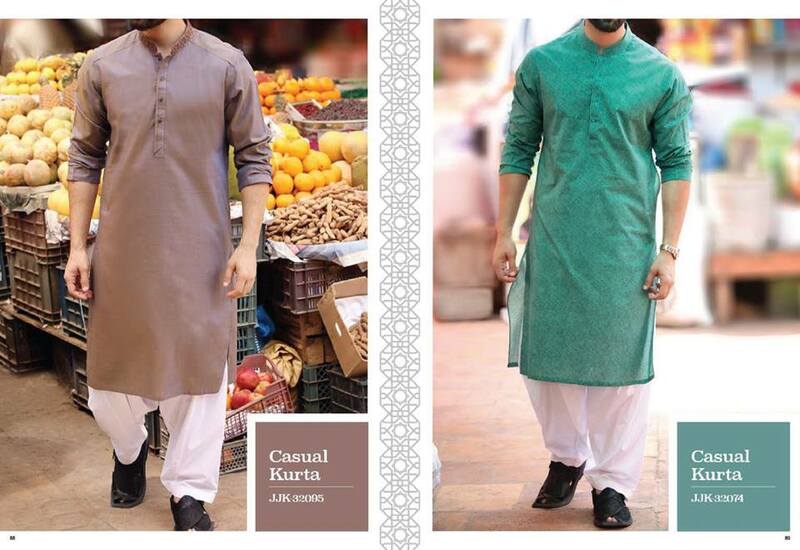 As I have already discussed Junaid Jamshed Women Collection for Eid, Just recently it has introduced this assortment, especially for the upcoming festivals. Indians can also enjoy the luxurious garments and can utilize them for their religious events like Holi, Divali, etc. 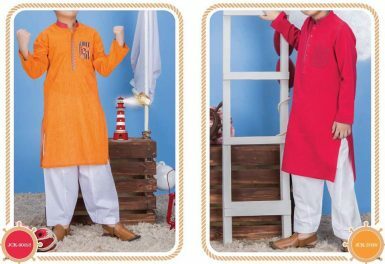 The assortment is all about men kurtas including fancy embellished kurta, simply embroidered kurta and plain kurta shalwars. 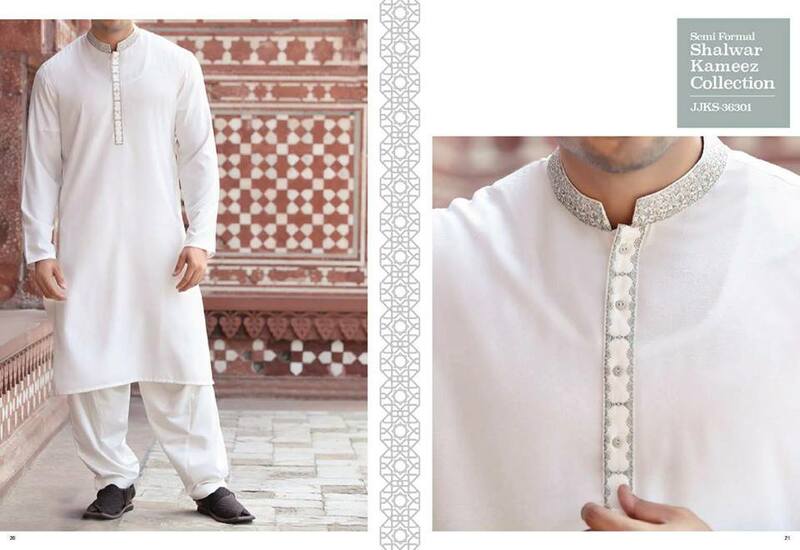 Trendy white shalwars are paired along with these kurtas. It is the best way to look classy on this Eid. 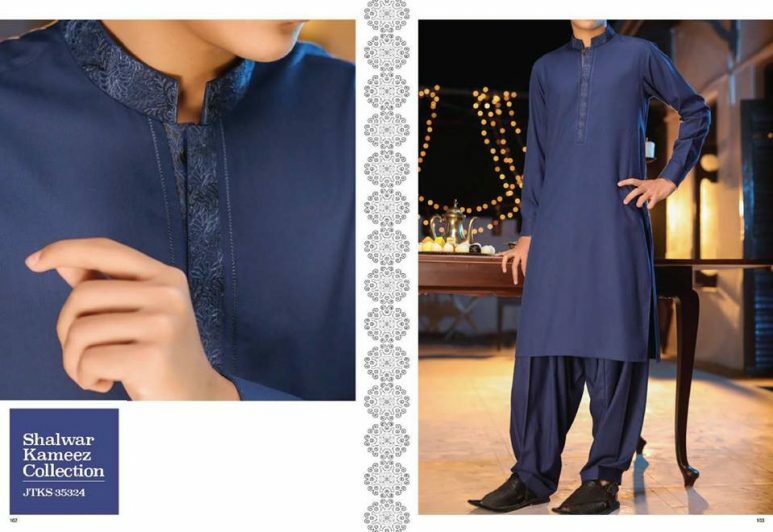 You may pick this for your upcoming event or a traditional party. 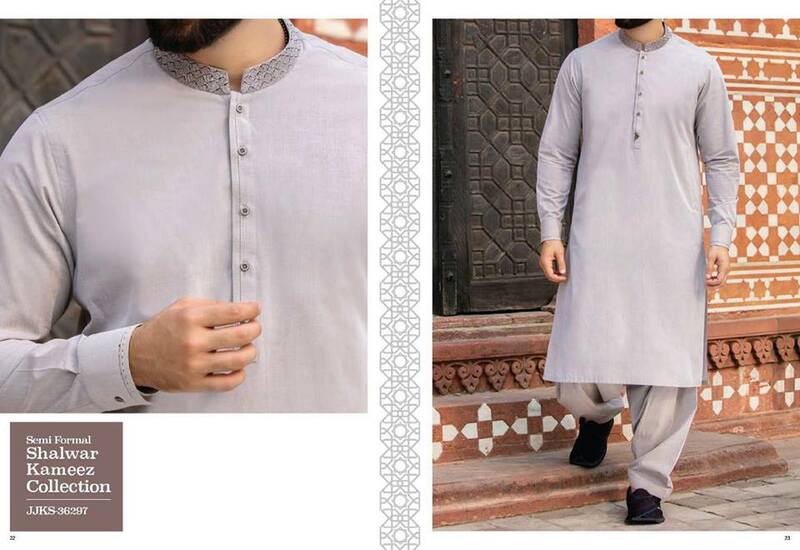 Eid collection for men consists of a wide range of very decent and best wear traditional kurta shalwar and shalwar kameez designs. 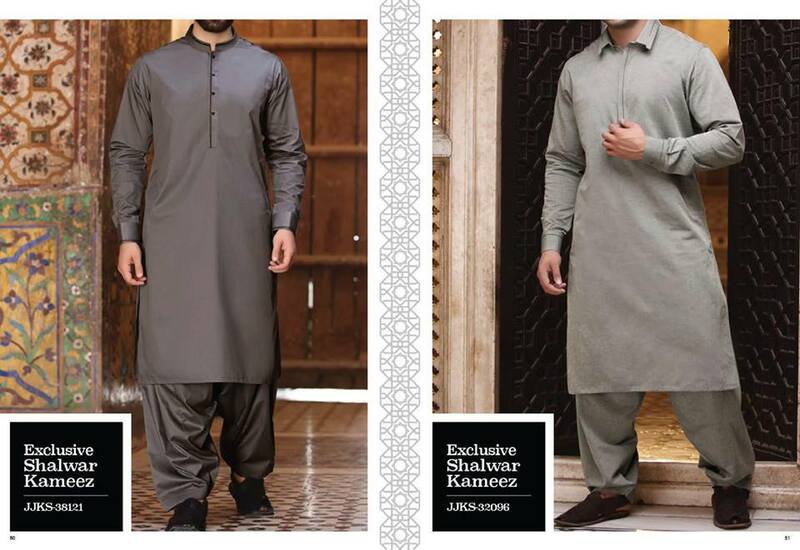 Sherwanis are also the part of this series. 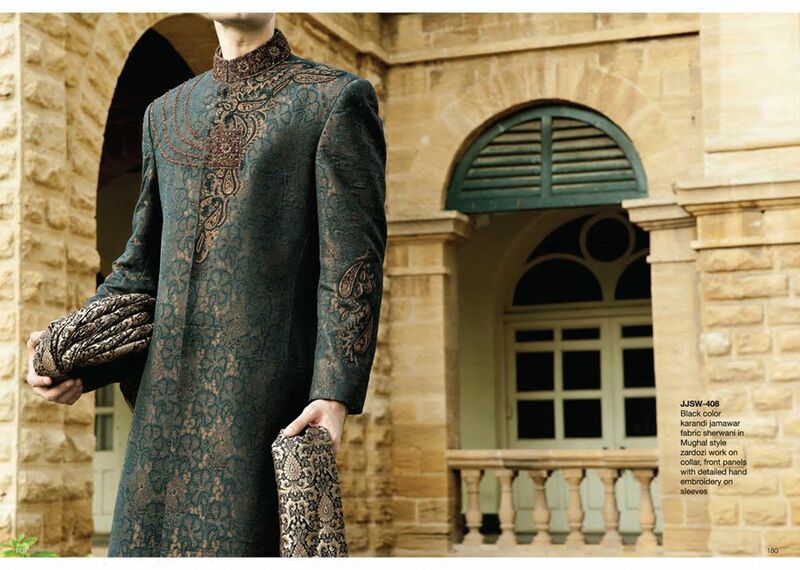 You will see here the beautiful patterns and designs of sherwanis, which you can opt for your wedding wear for any wedding ceremony, mehndi function, events and much more. Sherwanis are s chic to wear, they are created along the thread work at front and necklines, high-quality stuff and fabrics are used and are perfectly tailored for the use of buttons, motifs, threads, embroideries, studs. Very bold and vivid colors are being followed in this ready-made designer collection. The detail of every dress is mentioned along with each photo in the below-posted photo gallery. 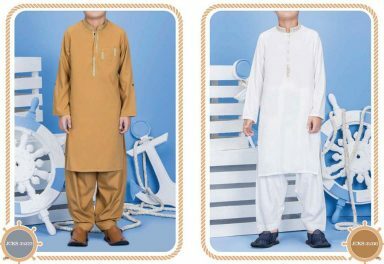 If you’re searching for this kind of stuff then must have a look at this special Eid collection. I bet you’ll get inspired by the designs. 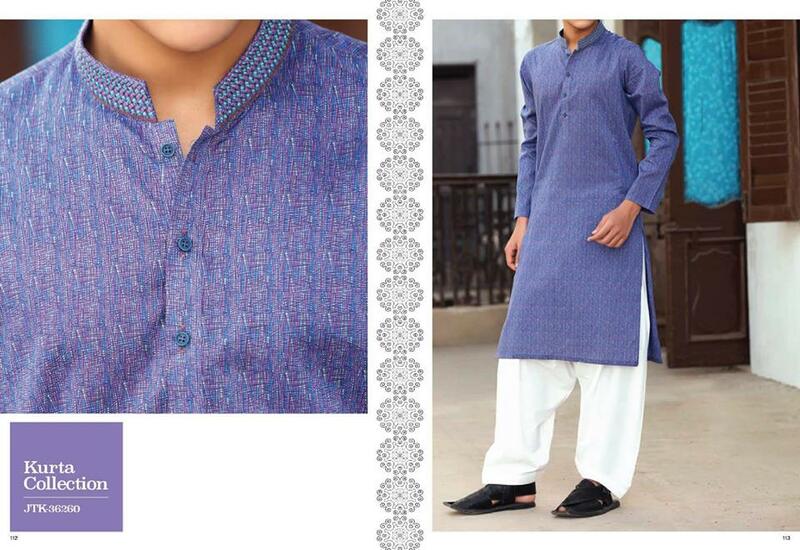 Latest J. Eid Kurta Shalwar Kameez Designs Collection consists of a wide range of very decent Kurtas, Shalwar kameez and Sherwani for gents, young boys, and teens. View these wondrous designs. 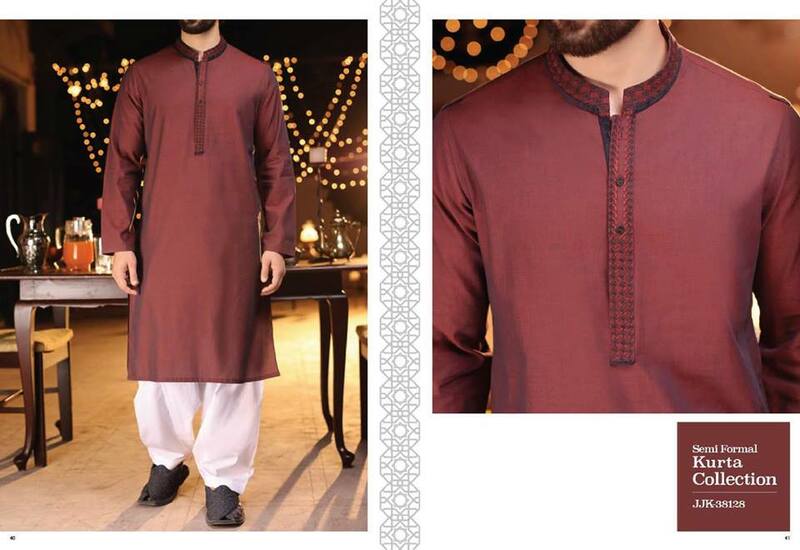 The maroon and dark blue shades. They are classic to catch for this festive season. Plus they look so stylish and contemporary. 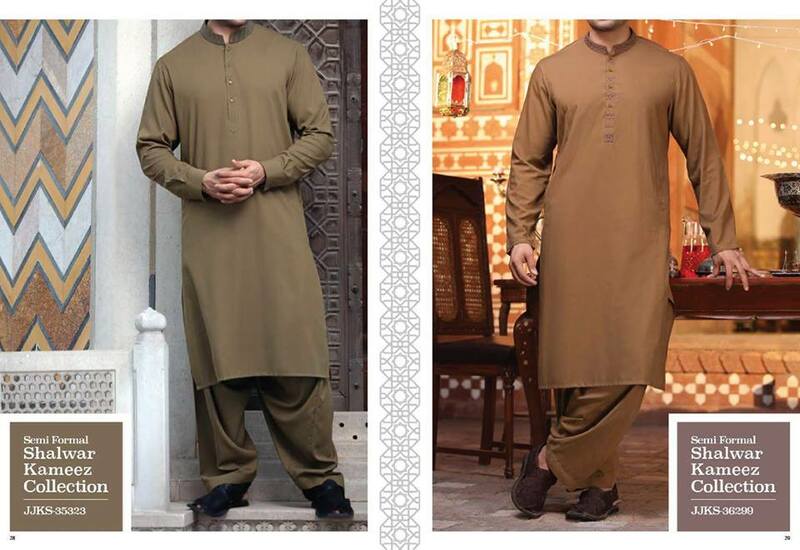 Shalwar Kameez range is full of elegance and style. You can see the true rich culture in every piece. 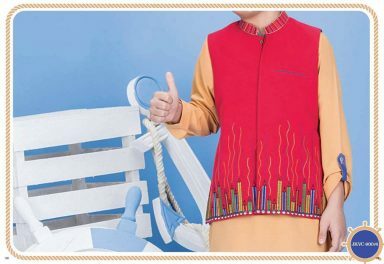 The prints and designs are very modern and stylish so that anyone can inspire from the appearances. 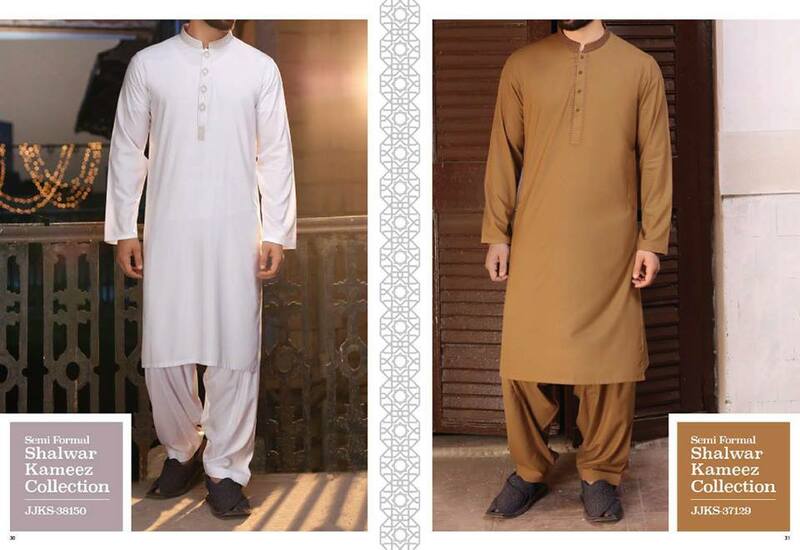 They are best to fit in your formal wardrobe! 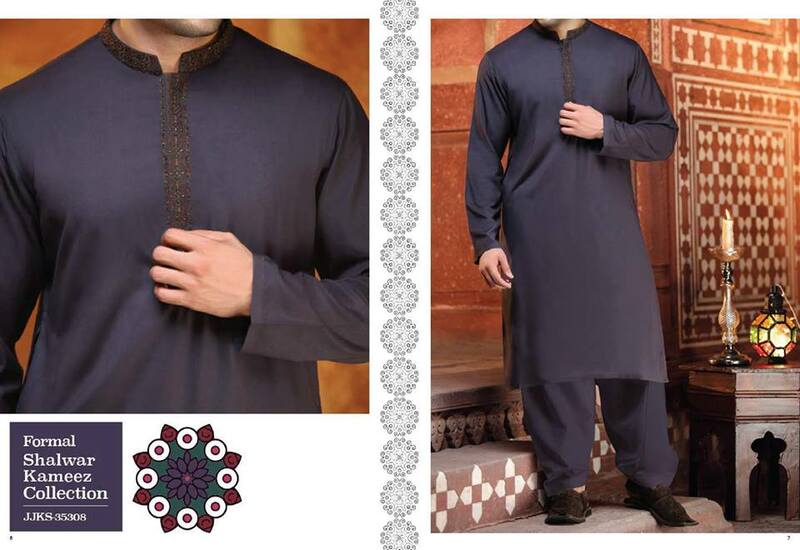 The prices are kept reasonable and the color combinations are perfect. You can wear them in any party, occasions, and festivals. The white color is always men’s favorite. In this hot weather white is the best shade to go. 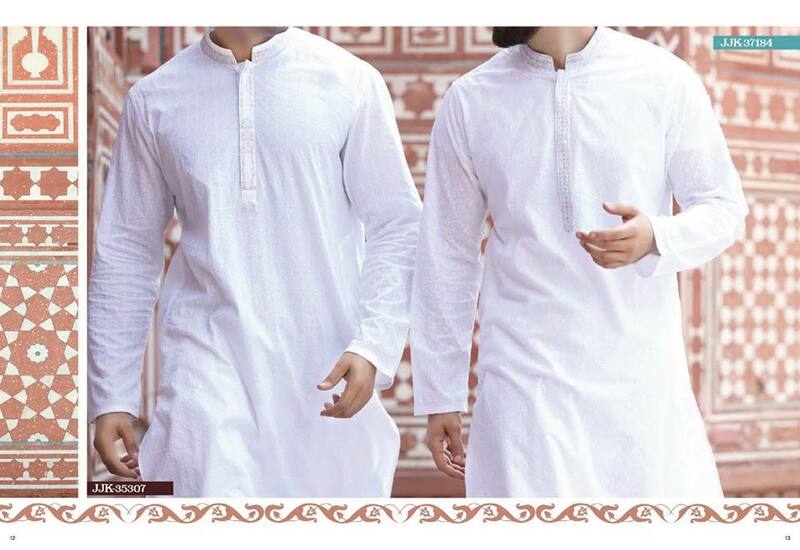 Especially for Eid it looks so traditional and stylish as well. 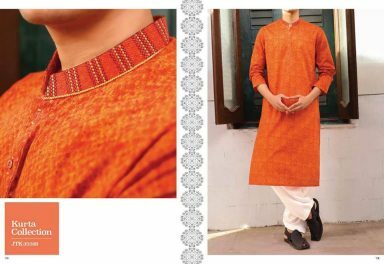 It is ram packed with a broad range of festive outfits; the kurtas have beautiful neckline with light embroideries, some have beautiful digital and screen prints. The kameez is nourished with rich colours with classic collars and sleeves. The grey color also looks decent. 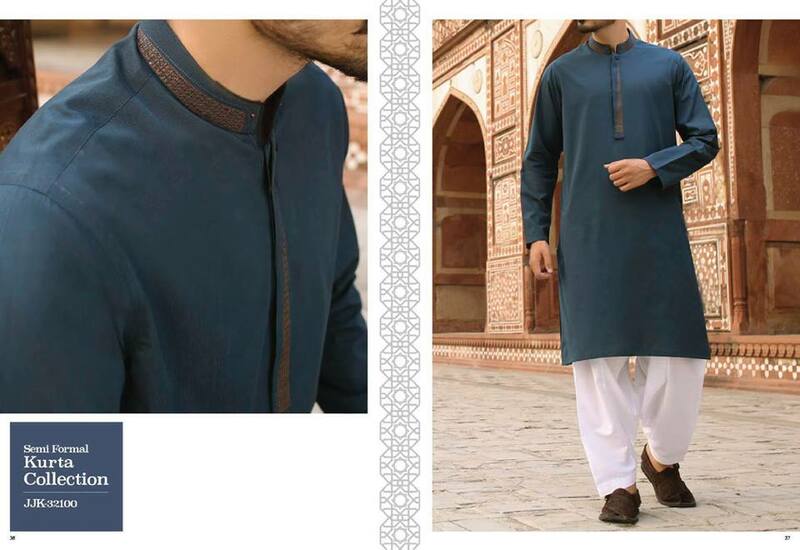 This light embroidered kameez is a must-have. It’s per your choice to go for dark grey for lighter one. The collars of shirts are adorned. Beautiful buttons are added. 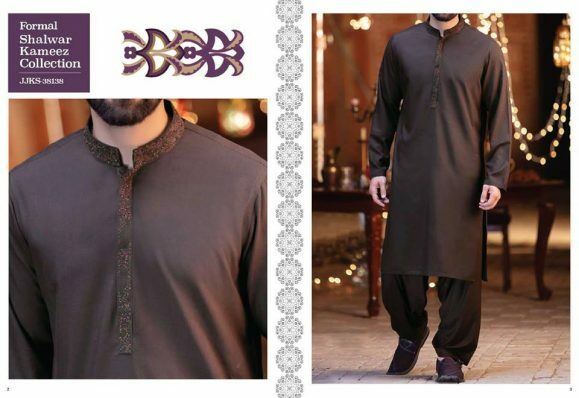 If you are fond of dark colors then here you go. 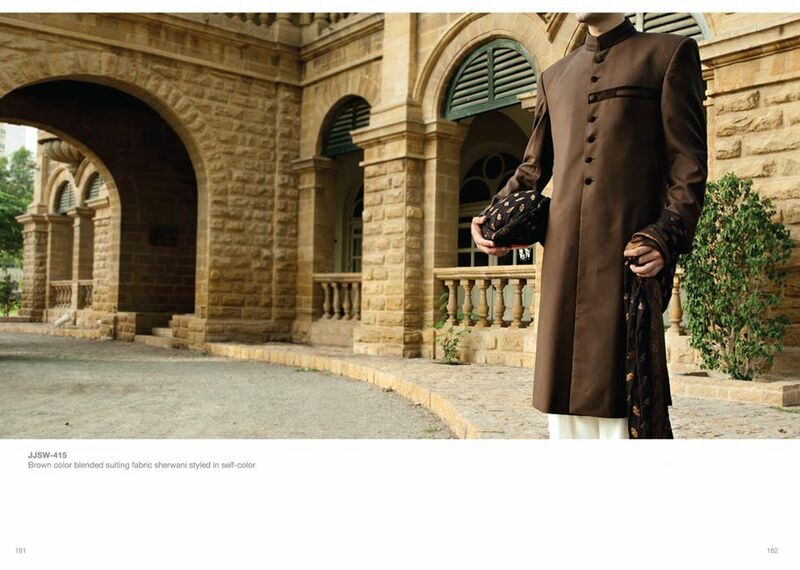 J. has presented some of the marvelous dark colored suits for men this festive season. Brown is always a good idea. 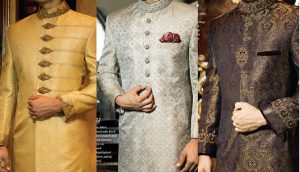 It has become the signature color for gents. Look at these two beautiful designs from the Latest collection by J. 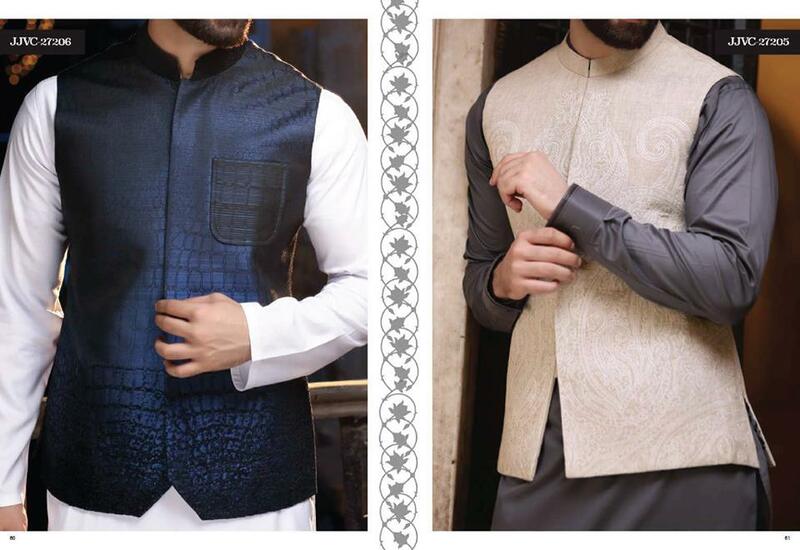 This royal blue and off white waistcoat are perfect to go for Eid season. 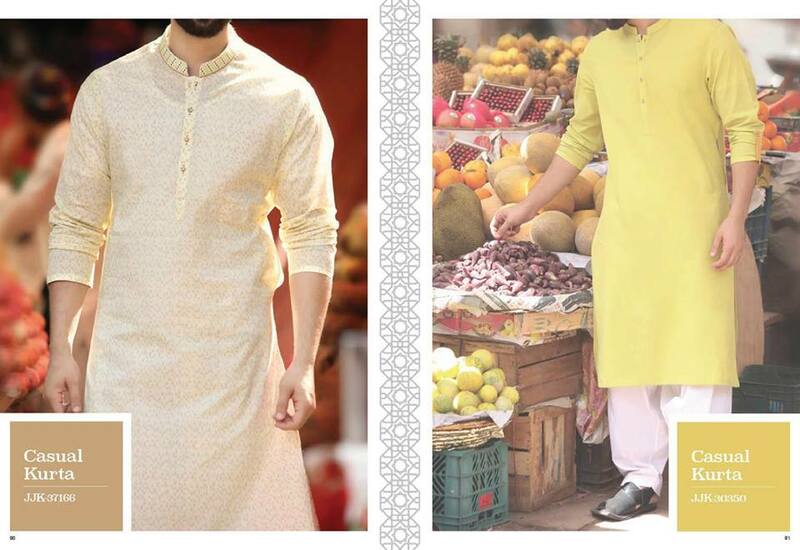 Pair it with a plain jor to make a statement. The blue color goes with every suit. 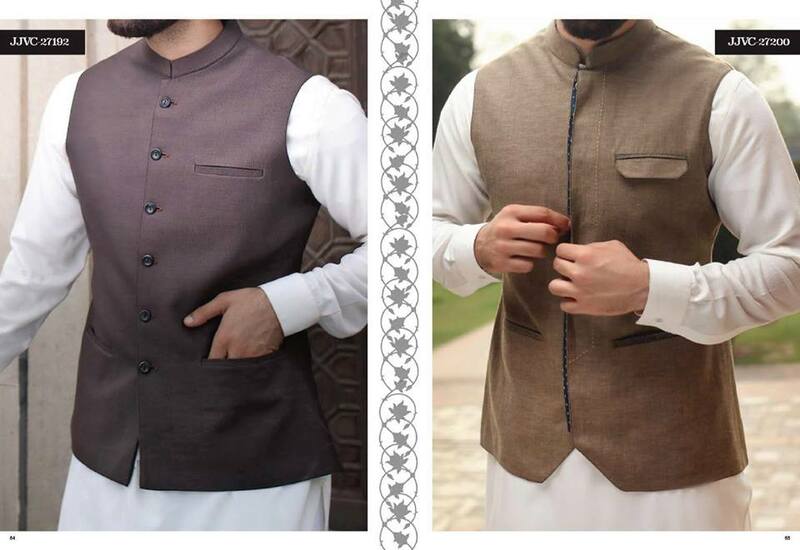 So choose this delicate brown waistcoat to complete the festive look. Pair it with a trendy pair of shoes. Dark shades make the outfits look more appealing. 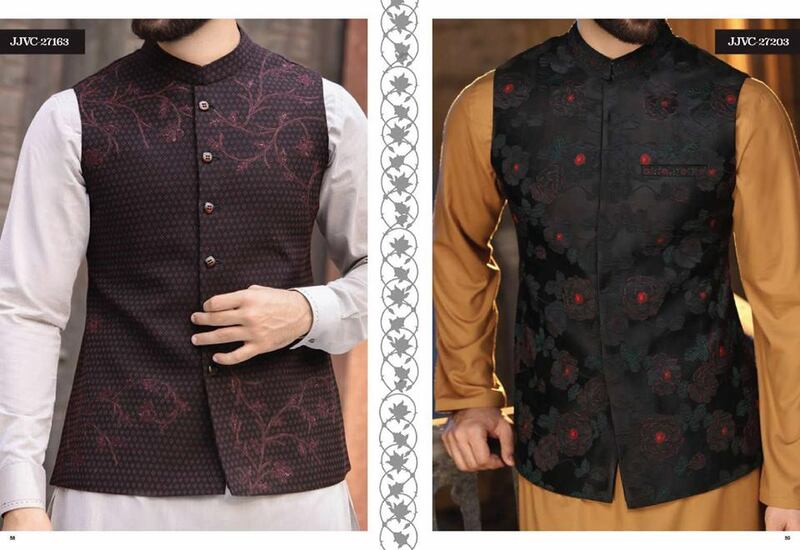 These embroidered waistcoats are best for every occasion. You can save it further for weddings. 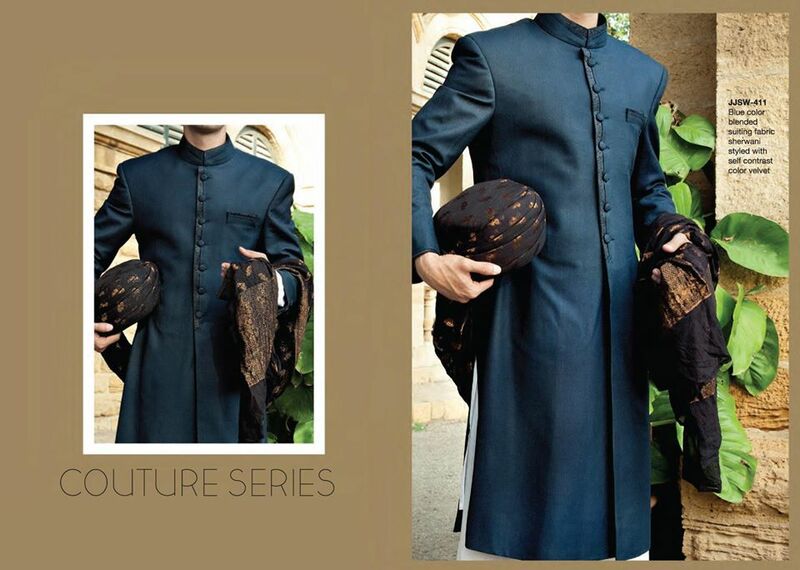 The blue and dark purple one with floral detailing and fancy buttons seems so classy. 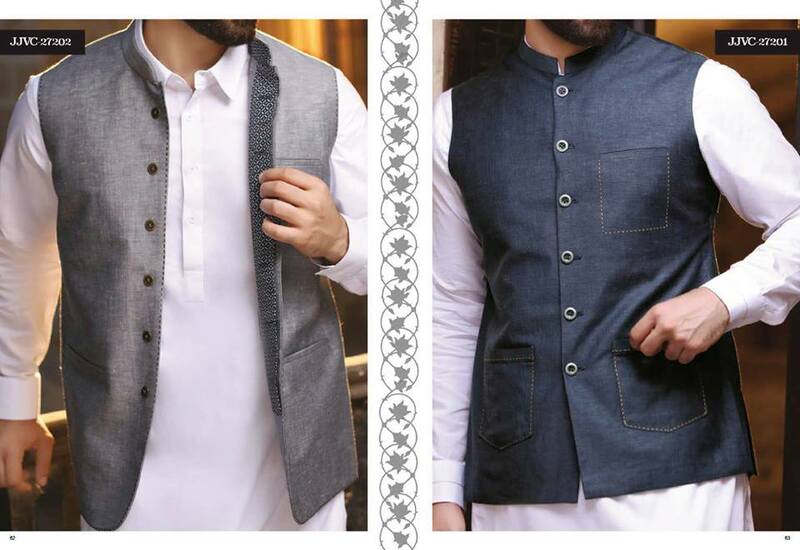 The rust grey and navy blue waist coat with a pocket is stylish to carry with a plain white kurta shalwar kameez. 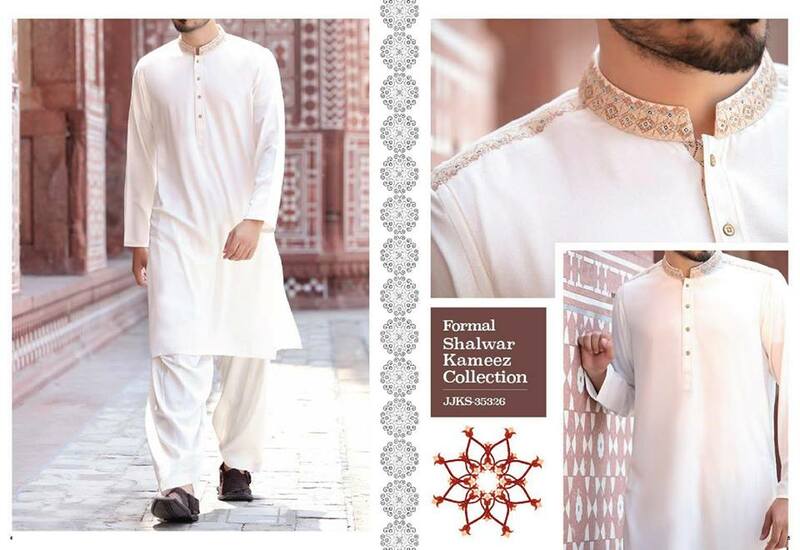 Complete the statement by wearing the amazing designs. We have gathered some of the beautiful designs of Kutas & shalwar kameez for young boys, teens, and kids. I hope you will love each and every piece. 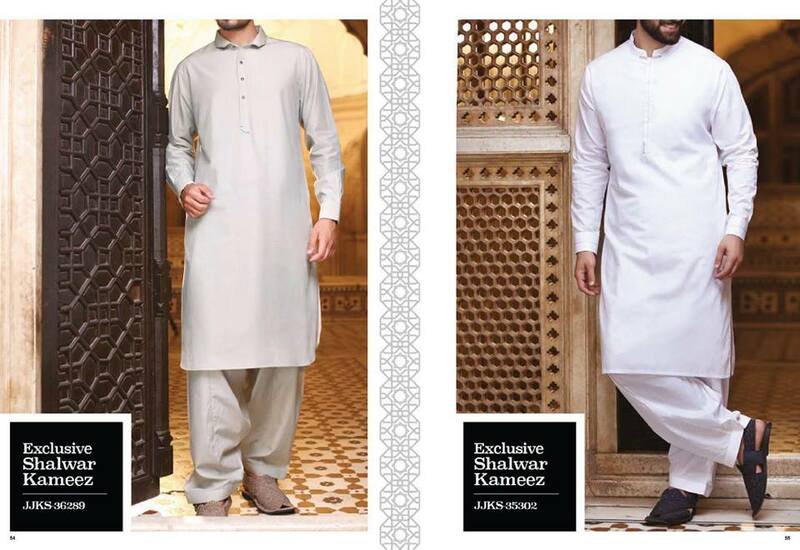 This collection has been launched and available in stores and online. Go hurry buy your favorite design before it stocks out.